Martindale TL33RD/BL probe extension set. Home » Test Leads & Accessories » Martindale Test Leads » Martindale TL33RD/BL probe extension set. 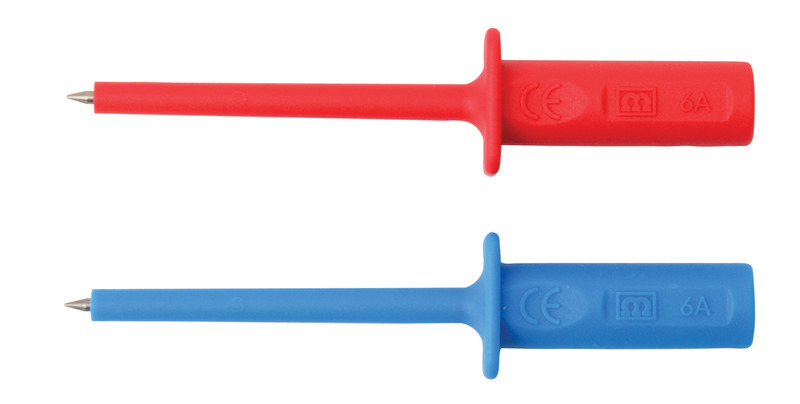 A set of blue and red fine probe extensions. The 50mm reach and small diameter enable safe and easy access to recessed contacts, not possible with conventional test prods. Safety features include a rigid barrel, finger guard and CAT IV 600V safety rating. Easy to use, the 4mm push fit design is compatible with Martindale TL34, TL35, TL36 and TL37 lead sets. The probes comply with GS38.